FeniksBus have passed the necessary tests and are now equipped with eCall devices directly on the conveyor. FeniksBus are built in Serbia by FeniksBus company on the basis of the commercial vehicle Iveco Daily. 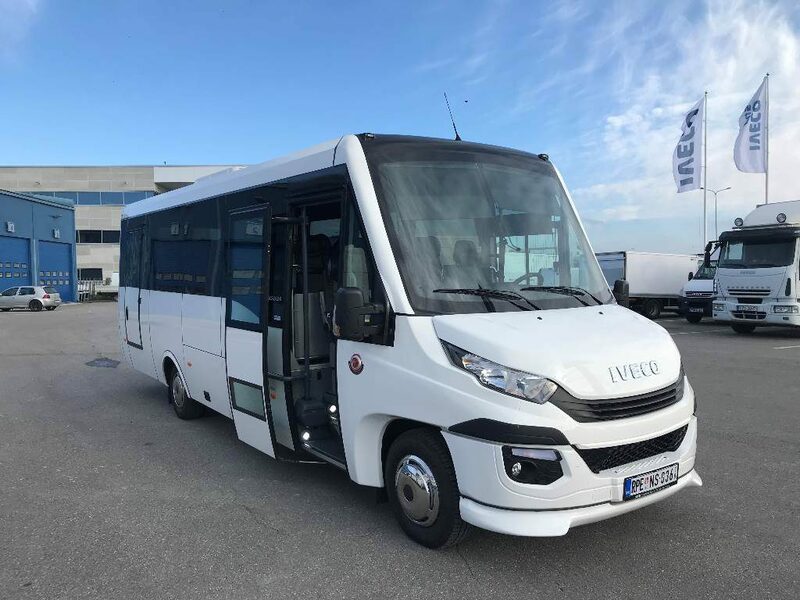 The name of the bus became symbolic — it has successfully established itself in the European and Russian markets, thus reviving the production of passenger transport in Serbia. FeniksBus is valued not only for its driving characteristics, but also for its capacity – its relatively small cabin can accommodate up to 47 people. Today it is the only bus of such capacity built on the chassis of a commercial vehicle. According to the technical regulations of the Customs Union, all cars in Russia must be equipped with ERA-GLONASS terminals. The system is installed on both new and second-hand vehicles imported from abroad. FeniksBus passed all the necessary tests with eCall device from Fort Telecom for compliance with TR TS 018/2011 requirements. Directly on the conveyor, it is equipped with FORT-112 EG terminal, emergency call button, microphone and speaker for communication with ERA-GLONASS operator. Now FeniksBus can be used for city and intercity communications in Russia. Fort Telecom is a leading provider of M2M technologies and solutions. We develop and manufacture GLONASS/GPS fleet management systems under the trademarks FORT and FortMonitor and the equipment for ERA-GLONASS/eCall projects in Russia and worldwide (www.fort-monitor.ru/en). Fort Telecom also develops and manufactures unique equipment for building unmanned IP video surveillance networks under the trademark TFortis (www.tfortis.ru/en). TFortis equipment is used in Russia, the CIS, Europe, Turkey, the Gulf Region and a number of other regions. Fort Monitor — has been operating on the market since 2007. Now the company’s products are represented in all regions of Russia and in most CIS countries. Despite this, we continuously search for new partners and are always open to cooperation.